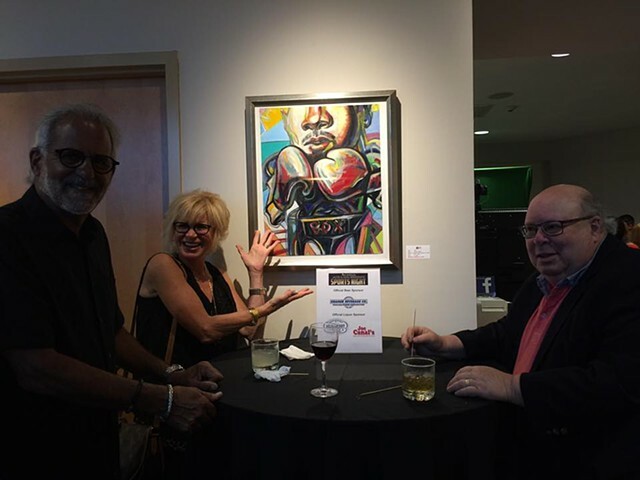 Fundraiser for Joe Frazier at the JCC, Holtzman Gallery summer of 2017. Assorted guests with my work called " Box" during the event in Margate New Jersey. A Fundraiser for Joe Frazier.